We’ve had a great first day at the #NAMMShow. We’ve met and talked with some great enthusiastic people from all corners of the industry. And we have three more days to go. Our new products are getting good feedback. More features will be coming, and professional translations in multiple languages are in the pipeline. This is good news for anyone interested in doing some high-quality FM synthesis. 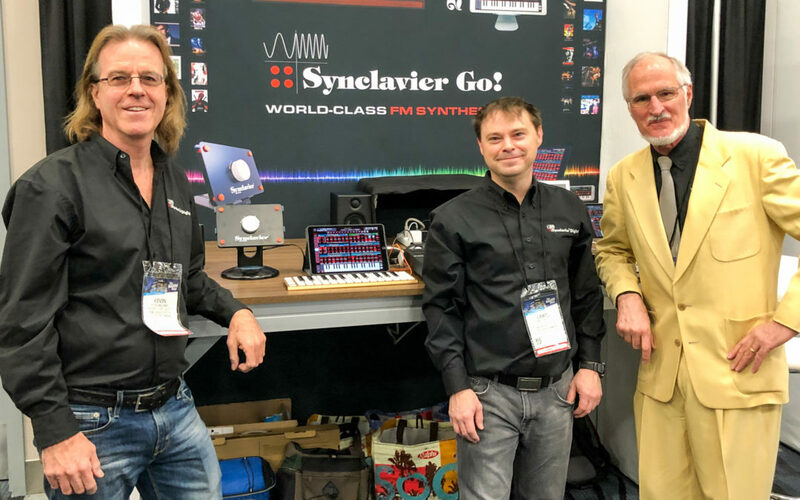 If you still haven’t visited our booth yet and are at the NAMM this year, come on down to Booth 14004 on the lower level of the “new building.” We’ll give you a demonstration of our products and even give you a free Synclavier guitar pick (while stocks last). It was a pleasure meeting you at NAMM, and have the app loaded in my iPad… time to get to work! Thank you for this!